In a survival situation, especially in the wilderness, a survival knife is the most important tool you can have. Your knife is important for cutting wood and cordage, batoning wood, hunting, making traps, the list is endless. Three Rucksacks in one! 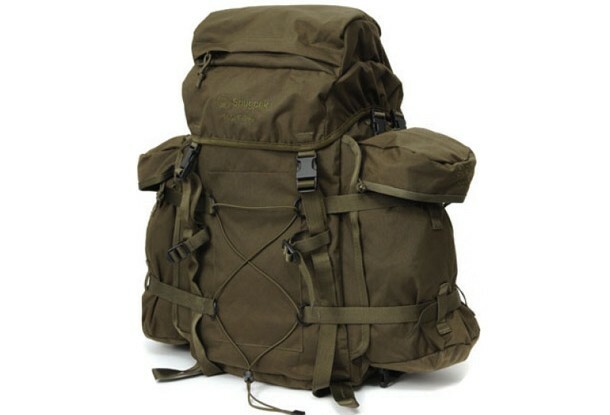 The Rocket Pack can be used when fully zipped together using all available 70 liters or it can be used as a smaller 40 liter rucksack by unzipping the two detachable 15 liter side pockets at the side of the pack. Survival kits and bug out bags are pre-prepared packs with tools and supplies to aid in a survival situation. The main difference between a survival kit and an emergency kit is that an emergency kit is more geared for surviving where you currently are during an emergency and a survival kit is for when you have to leave or bug out. The Chinese WJQ-308 multi-function shovel is a foldable military shovel with many extra useful functions added to it. It’s basically the Swiss Army Knife of shovels. It was invented by a serviceman who based it on his combined experience of combat and training as well as his in-depth research on military and civilian shovels. Access to water purification is essential to anyone in an emergency situation. When it comes to survival nothing is more important than having access to safe drinking water. The only exception being shelter if you find yourself in a hostile environment with extreme cold or rain where you could possibly die from the elements before you would die of dehydration. Perfect for camping and hunting, the Ka-Bar Becker BK2 Companion Knife has the strength for splitting kindling, and the sharp edge required for skinning game or chopping onions for the campfire grill. The Ultimate Survival Wetfire starting tinder was specifically designed to be safe, odorless, easy to carry and unaffected by wind or water. It claims to be the best fire starting material available anywhere in the world. It’s a light, tiny way to ensure your safety and survival in even the most challenging conditions.